Haiti Cultural Exchange will join Taste of Brooklyn for a special session of Krik:Krak Storytelling & Songs, bringing some traditional Haitian folktales to young and old. These stories will incite a love of Haitian myth and color children’s dreams with wonder. 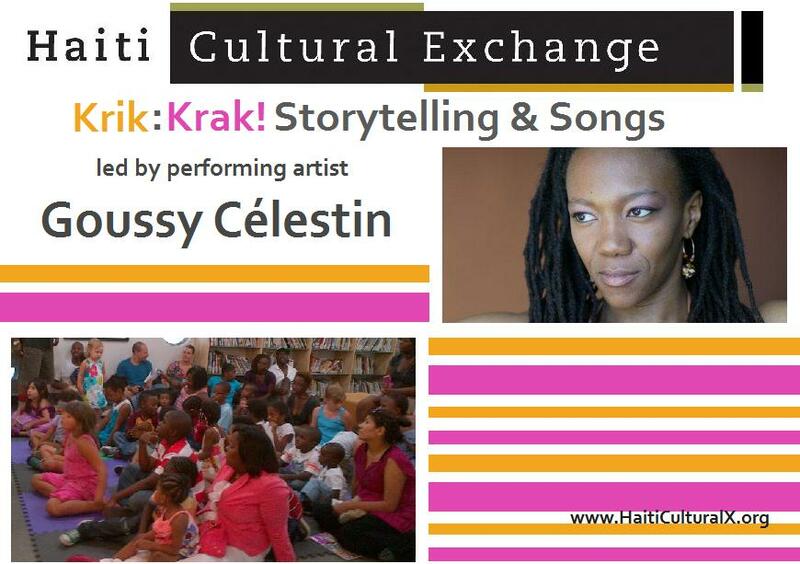 Storytelling will be led by New York-based performing artist Goussy Célestin accompanied by distinguished Haitian drummer Jean-Mary Brignol. ADMISSION: Visit Taste of Brooklyn to learn more about attending this event. This entry was posted on Thursday, October 4th, 2012 at 1:05 pm	and is filed under Events, HCX Collaborations, Uncategorized, Youth Programs. You can follow any responses to this entry through the RSS 2.0 feed. You can leave a response, or trackback from your own site.